Do we need to rent a car while vacationing in Akumal? Whether or not you need to rent a car when staying in Akumal largely depends on two things, the first of which is what you plan to do while staying in Akumal. If you plan to do some sightseeing or to explore the Riviera Maya during your stay (visiting such places as the Mayan ruins, Eco-Parks, cenotes, nearby villages, Sian Kaan Biosphere, or countless other places), then it is best to rent a car for your stay. The second determining factor in whether or not you will need a car is where you are staying. While area amenities are within a 30 minute walk or a short bike ride of accommodations located in North Akumal, they are not within walking distance of South Akumal, Aventuras Akumal, Soliman Bay or Tankah. When staying at one of these locations, a rental car is needed in order to get to restaurants, dive shops, grocery stores, and other amenities. If staying in North Akumal or at Akumal’s main area and planning to spend most of your time within Akumal during your stay, diving, snorkeling, relaxing, lounging on the beach, etc, and if you don’t mind walking or perhaps renting bikes, you can get by without renting a car. Most of the amenities are within a 30-40 minute walk of the accommodations located at Yal Ku Lagoon, Half Moon Bay, North Akumal and Central Akumal. To get from the airport to Akumal, transfers are available 24/7 at the Cancun airport arrival terminal. Typically less expensive than getting a transfer upon arrival, one way, round-trip and private transfers can be booked ahead of time online, through such agencies as Cancun Valet. Not only is a driver waiting for you at the airport arrival terminal when you get to Cancun, he also returns to Akumal to pick you up for your flight home. 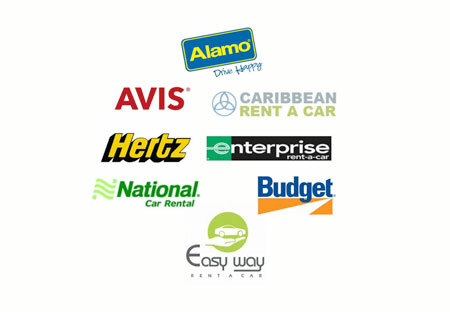 Most major rental car agencies as well as several local agencies offer rental car pick-up and drop-off at the Cancun International Airport (CUN). If staying on the Riviera Maya and flying into Cancun, this is the most convenient location for picking-up and dropping off a car. Should we purchase rental car insurance and if so, which of the insurance options should be purchase? First, we do not recommend driving a car in Mexico without having insurance coverage. When comparing rental rates online, best to check and see if the quotes include any insurance as to prevent any surprises and so that you get a true price comparison. Most quotes don’t include insurance, but on occasion you will see it included. When you make a rental car reservation online, you may be asked to select a insurance option, but which you select is not critical until you actually pick-up the car. Once at the rental car agency in Cancun, you will have the option to choose which insurance plan and coverage that you would like to purchase. Since some major credit card companies offer automatic coverage when using their card to rent a car in Mexico, many people opt not to purchase insurance from the rental car agency, as the insurance is often more expensive than the car rental rate itself. It is very important to know that coverage offered by a credit card company may only cover for Collision and typically DOES NOT include coverage for Liability. If relying on your credit card company for coverage and waiving the coverage offered by the rental car company, we strongly advise that you verify what they are covering and if collision only, that at the very least, you purchase liability coverage at the counter when picking up the car. Although rental car insurance coverage can be expensive and is often more than the car rental rate itself, we do not recommend that you drive in Mexico without full coverage for COLLISION AND LIABILITY, both of which can be purchased from the rental car agency when pick up the car. Odds are you won’t need to file a claim, but should you need it, full coverage is worth the cost, many times over.